Established in 2001, ISG's goal has always been to be the best in the field of service provision for payment systems and associated risk management systems. 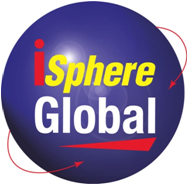 Through its relationship with iSphere Global, ITC2 is able to offer our clients huge Resource Scalability and cost-effective time to market for mission-critical business applications in the Financial Services market. The Business Agility Group (Australia) Pty Ltd (The BAG) is a specialist IT Consulting and Professional Services organisation that engages with it Clients as a Trusted Partner, focused on delivering honest, timely and cost-effective solutions to everyday IT problems and ITC2 has a longstanding Partnership with The BAG to augment its depth and breadth of delivery capability. JK Vine Consulting provides complex testing services such as penetration testing, performance testing and system optimisation (performance engineering and capacity planning). ITC2 formed an alliance with JKVine in order to broaden the company's range of solutions and to expand the company's access to additional high-calibre resources. Zeal Solutions provides a range of consulting services within Business & Information Technology organizations with world-class service. ITC2 formed an alliance with Zeal Solutions in order to broaden the company's range of solutions in the Financial Services sector and to expand the company's access to additional high-calibre resources.